Leeds United look unlikely to sign in-form striker Ze Luis this month amid claims in Russia that the Championship promotion chasers had tabled a big bid for Spartak Moscow star. Marcelo Bielsa’s side have already signed goalkeeper Kiko Casilla from Real Madrid this month as they look to strengthen their push for promotion to the Premier League. And reports in Championat claimed director of football Victor Orta had already earmarked Cape Verde striker Ze Luis as their next investment. According to the Russian outlet, Leeds have tabled a bid of £10.5million for the Spartak centre forward, who has scored 11 goals in 24 appearances in all competitions this season. And claims the striker is heading to West Yorkshire have been furthered by reports that the Russian giants have already agreed a deal to sell Ze Luis to Leeds. However, while Ze Luis is one player Leeds have considered, it is understood the club are yet to make a firm approach and would be unwilling to spend such lavish sums on a striker, with the cub thought to be prioritising other positions first. 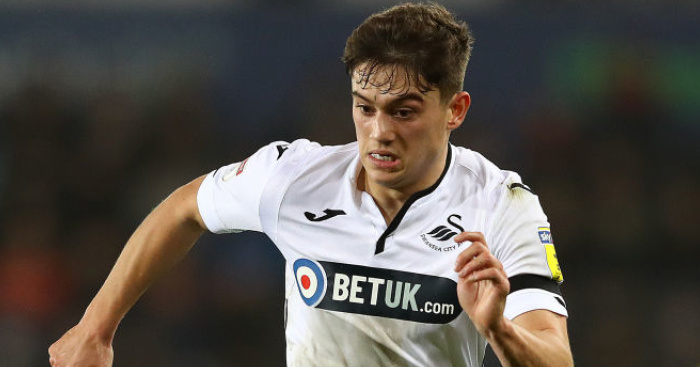 Leeds’ immediate focus is to try and convince Swansea to sell winger Dan James, though the Whites are still to make a firm offer for the winger, who is rated in the £5million bracket. It is understood United are likely to launch their opening offer of around £2.5m before the end of the week; an approach the Swans are certain to reject. James, who , is out of contract in 18 months and has not been offered an extension by the Welsh outfit, despite pleas from his teammate Oli McBurnie to tie the star down. Should they wrap that deal up, Leeds are still hoping to bring in a new No 10 to replace Samu Saiz, who returned to Spain with Getafe at the start of the month, though Ze Luis could yet come into the equation as a striker signing if nothing else materialises and if they can convince Spartak to lower their asking price. Ze Luis scored 12 goals in 35 appearances for Portuguese side Braga prior to joining Spartak, who he signed for in a £5.85m deal in 2015. The post Leeds unwilling to meet asking price for reported striker target appeared first on teamtalk.com.